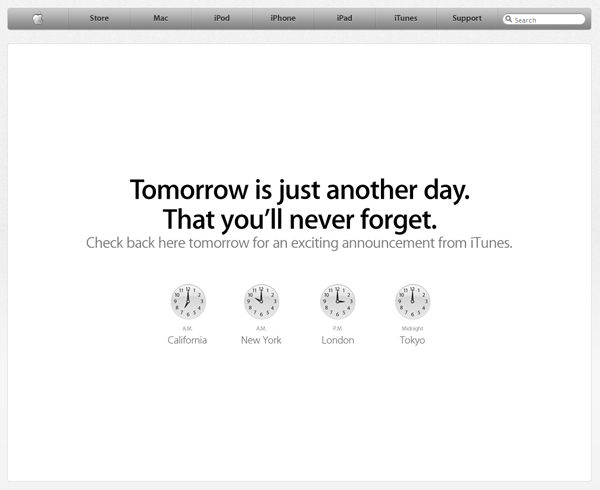 Apple started out the week with a simple message on their website. Instantly, tech blogs and main stream media outlets started speculating about what the big announcement could be. There’s a good chunk of people who get really excited about Apple announcements. Steve Jobs’ press conferences become headline news. New products become online fodder. And this cryptic message got people dreaming. 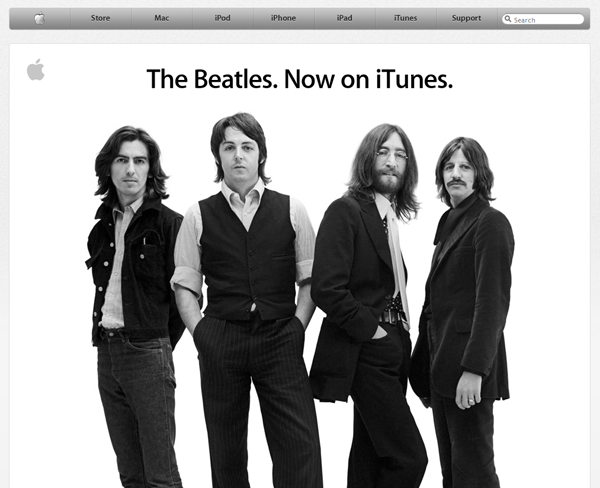 The most popular speculation was that Apple was going to move iTunes into the cloud. Basically, the hope by many was that your music and video library would live online and you could access it and sync your favorite Apple product wirelessly wherever you were. This rumored major change became the hope of many who were told they’d have a day they’d never forget. Waa-waa-waaaaa. I’m completely underwhelmed. I like the Beatles, but I will forget today. I think we often fall into this trap as churches. We’ll send out a postcard guaranteeing true life transformation. Or we’ll promote a Christmas event as the best live nativity ever when, in reality, there’s only one live animal. I mean, everyone knows there’s a five-animal minimum to a great live nativity—unless there’s a camel, in which case you only need two other pieces of living nature. But seriously, we can fall into this trap because we want people to come to our churches so badly that we’ll stretch the truth. I urge you to be realistic when you’re promoting something. Better yet: under-promise and over-deliver. Good reminder! Juke and Jive is best on the football field, not from the Church. Over deliver and shadow the humble hype.